As a babyologist for Toys R Us, we were sent a Baby K’tan baby carrier* to review. I was very excited to receive it as Lucas is about 23lbs now and his current baby carrier is only suitable up to 26lbs. The Baby K’tan unlike other carriers I have seen comes in various sizes to fit the wearer rather than a one size fits all. If you are going to buy it when you are pregnant, you should order based on your pre pregnancy size. 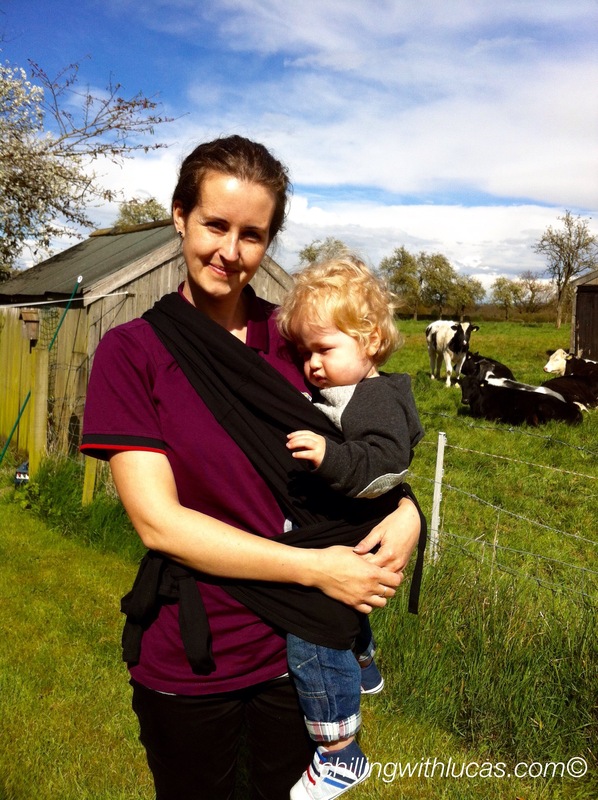 It has been innovatively designed to work as a sling, wrap and carrier. There are no buckles or straps making it quick and easy to wear. 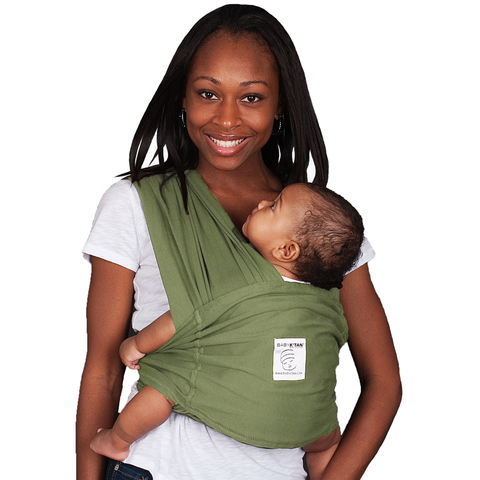 The double-loop design of the K’tan distributes baby’s weight evenly across your shoulders and back, and the back-support band helps you to adjust and centre the loops of the carrier. The wide fabric can be spread over your shoulders to further distribute baby’s weight and their is a sash that can be used for extra support. The K’tan is suitable for babies from 8 to 35lbs so it lasts a lot longer than most other baby carriers and doesn’t cost a fortune at £49.99. 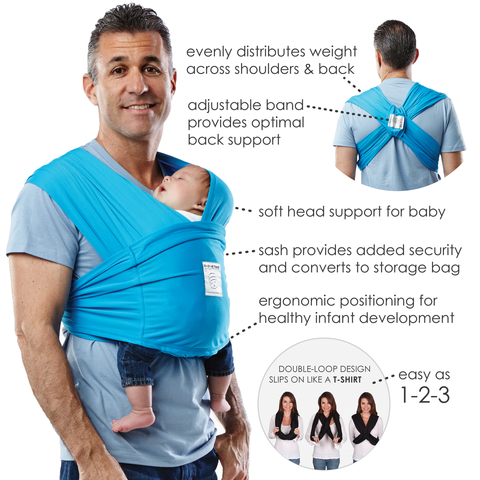 There are multiple ways to wear the carrier and the instruction booklet explains simply how to use the various positions and what age baby it would be suitable for. I found the hip position to be the most comfortable for me. To look at the position you would assume that it is the same as carrying him on my hip but the carrier really makes a difference and takes the weight away making it easy to carry him for longer. Lucas is also happy and comfortable in this position being close to me and being able to see what is going on around him but also easy to nestle in when he’s ready for a cuddle or nap. I also love that the sash turns into a carry bag for the K’tan, taking up very little space for storing it or popping in my bag for when we are out. The carrier we have previously used is bulky when we are out but not using it. This looks awesome we have a carrier and it hurts my back plus my little one doesn’t like it 🙁 she is 1 now though so in need of a toddler one. It looks fantastic and I like that it distributes weight effectively. The choices in colours are great too! This looks like a great carrier. It’s such a shame my girls are getting too big for baby wearing now. It looks really versatile and a lovely comfortable fit. My only concern with wrap carriers like this is the size thing. Surely it makes it harder to switch between partners? I love the look of this wrap, little ones look so comfortable in it. I’d love to have the light grey version for myself. How cute is this carrier! I wish it was around when I was using them. Ahh, this looks lovely! 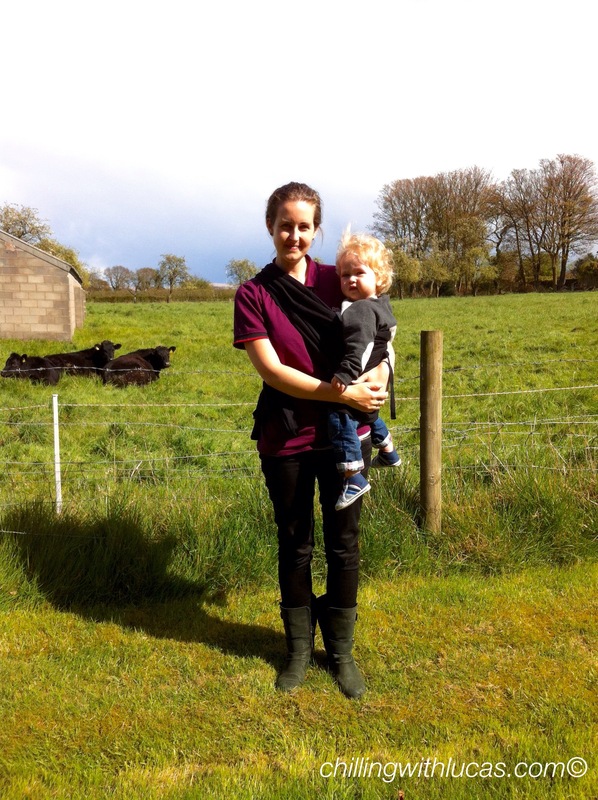 We’ve already bought a fabric sling for when Pickle is very little but definitely will be looking at upgrading as baby grows – I love that this can be worn so many different ways. Will have to keep an eye out in a few months time!